Build excitement during the weeks leading up to the launch of the NYC ZeroWaste rebrand without giving away the surprise. 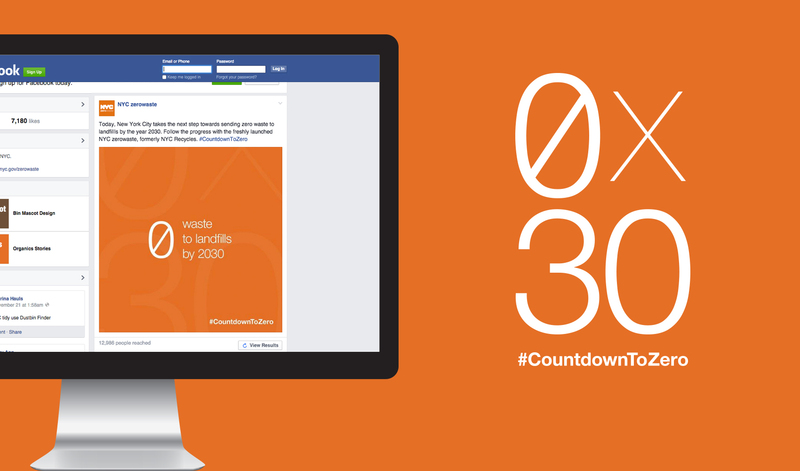 Create a series of visuals that countdown to zero in which each number highlights an important fact about waste and recycling in New York City. 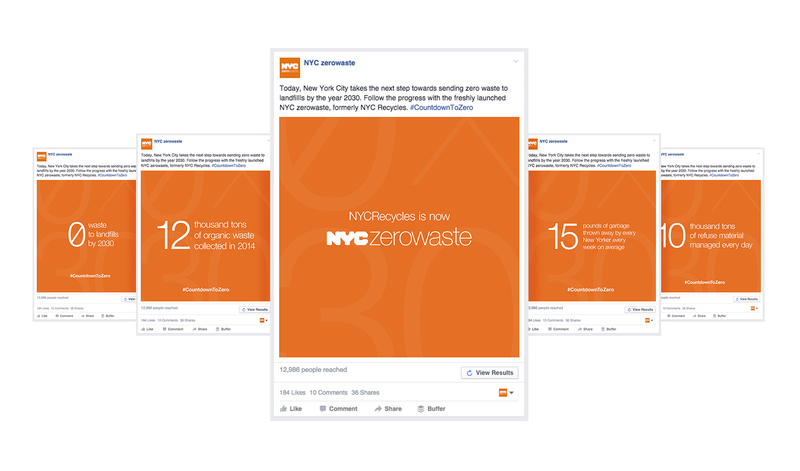 The campaign had over 4,000 engagements and over 200,000 impressions, with the visual officially announcing the ZeroWaste brand receiving over 780 engagements.